An eye-catching and beautiful widget for Blogger, Wordpress and Custom Designed Website with hover features. Before we have seen so many widgets on the Blogger and wordpress also I have shared a jQuery Social Media Sidebar Widget but that one we just install on Blogger template, not for other sites such as wordpress or custom designed website. However, this time I have gain the experience of both Blogger, Wordpress also custom designed website and I have checked it personally its works in Wordpress Blogger and Custom Designed Blog or website. This Beautiful Social Media Widget has four different and biggest Social Media Platforms subscription button and that is Facebook, Twitter, Google Plus and Youtube with RSS Subscription. All these buttons will help your to attract your visitors to subscribe your Social Media Channels and Page and in a result your will receive more traffic after sharing any Blogger post on your social media pages. As I have mentioned above for installing this widget in different platform such as Blogger, wordpress or custom designed website or Blog. 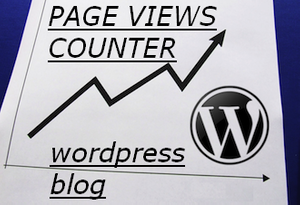 Now check out You Wordpress Blog you will find there beautiful eye-catching widget. Now its time to install the same widget in Blogger. All the above methods are personally checked by me. I have Blog on Blogger.com, Wordpress custom domain and having personal designed website and checked the above widget in the above mentioned platform working properly. In case any further assistance you can ask by reply in this post. Regards.